Rethymno lies along the north coast, having to the east one of the largest sand beaches in Crete (12 km) and to the west a rocky coastline that ends up to another large sand beach after 10 km.The prefecture of Rethymno has plenty to offer in terms of beaches.On its northern coast (Cretan Sea) visitors will find popular and fully-organised beaches and, on its southern coast (Libyan Sea), small isolated beaches and coves with crystal-clear waters, ideal for relaxation and calm, can be found. 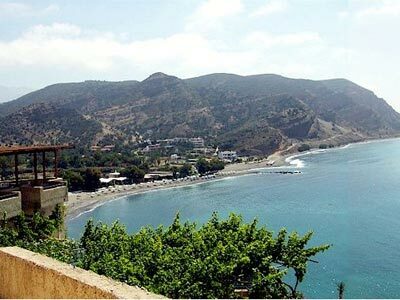 Very beautiful long white beaches, an enormous offer in different restaurants, bars, shops, give you a complete holiday feeling. 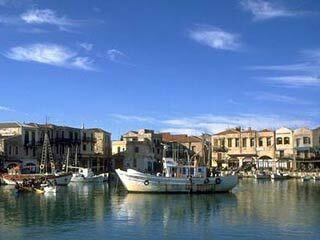 Bali is a small village 37 km away from Rethymno.It has three small harbors and the main village is at the second harbor. The most beautiful beach is the one at the third harbor. 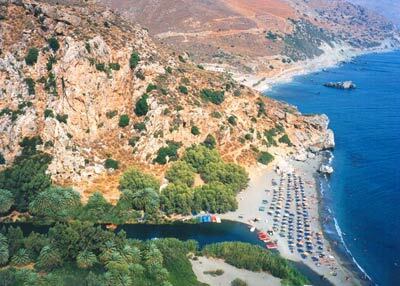 Preveli is a palm beach near the Preveli Monastery.The beach is in the end of Kourtaliotiko Gorge,where waterfalls and the river flows into the sea. 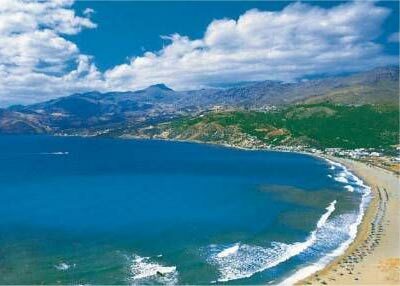 Plakias is a windy, gray sandy beach 40 km south from Rethymno, which attracts many tourists including windsurfers. The village of Agia Galini is situated 61 km southeast of Rethymno.There is a graphical harbor and a very beautiful beach.